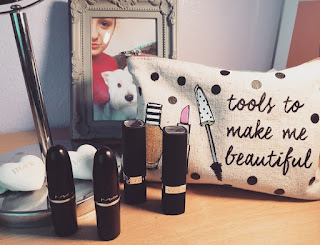 Hannah McIntyre Lifestyle Blog: NEW AVON Perfectly Matte Lipstick review! 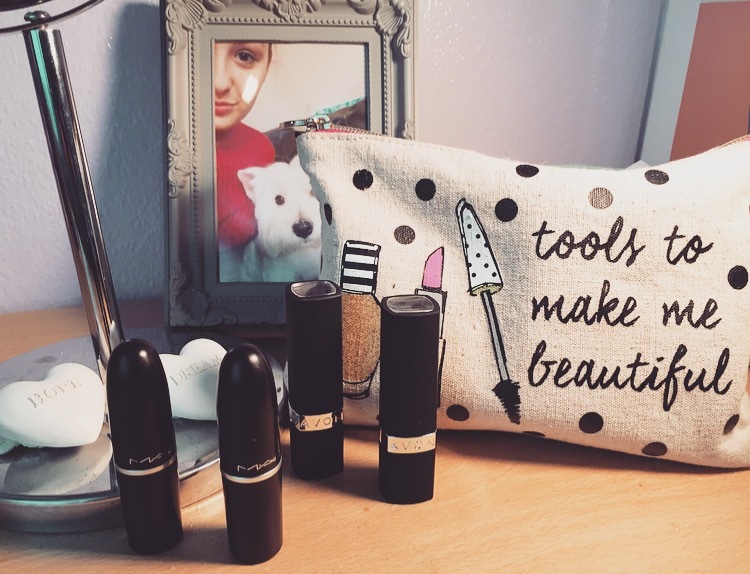 Having seen the new Avon campaign on the television, promoted by several YouTuber's and Bloggers, I thought I would test out the new "more matte than Mac" lipstick. I've seen brilliant things about this lipstick as it's supposed to be highly pigmented and long-lasting. I ordered this lipstick in two shades, "Peach Flatters" and "Red Supreme". 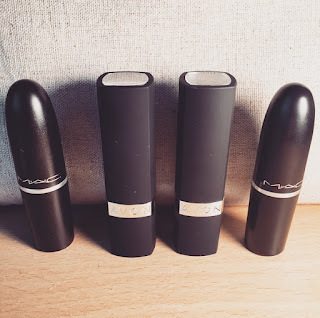 I have two similar colour lipsticks by Mac, which I thought I would compare with. 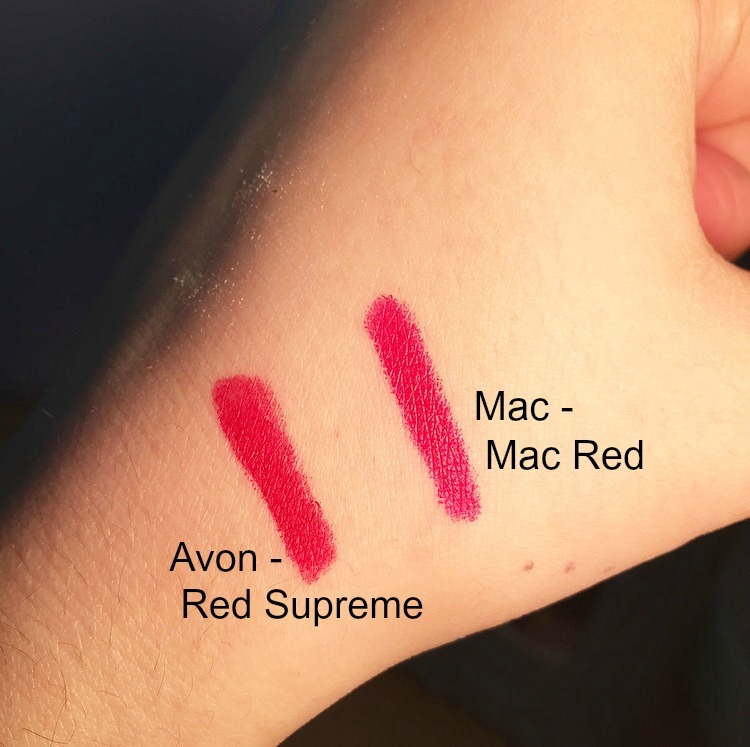 My first comparison is between Mac Red and Avon Red Supreme. As you can see, Avon definitely lives up to their promise as being "more matte than Mac". Without a doubt, I prefer the Avon red lipstick compared to the Mac due to the feel and look on the lips. Although a matte shade, Red Supreme by Avon is far creamier when applying. I tend to find red shades rather difficult to apply due to the bold colour, but Avon's red was perfect. It was easy to apply, I find it stays on for the majority of the day (yet residue is left on cups, etc) and the matte consistency is better compared to Mac's matte shade. I also find it darker than Mac Red, which is my preferal in a red lipstick. colour becoming more vibrant with the more layers put on - this makes it very versatile. However, I do prefer the shade of "Velvet Teddy" in this comparison, purely because it is more of a brown shade in comparison to the pink of the Avon lipstick. Again, Avon's Peach Flatters lipstick is very matte, I was not expecting it to be AS matte as it was. It clings nicely to the lips and brightens up any make up look! 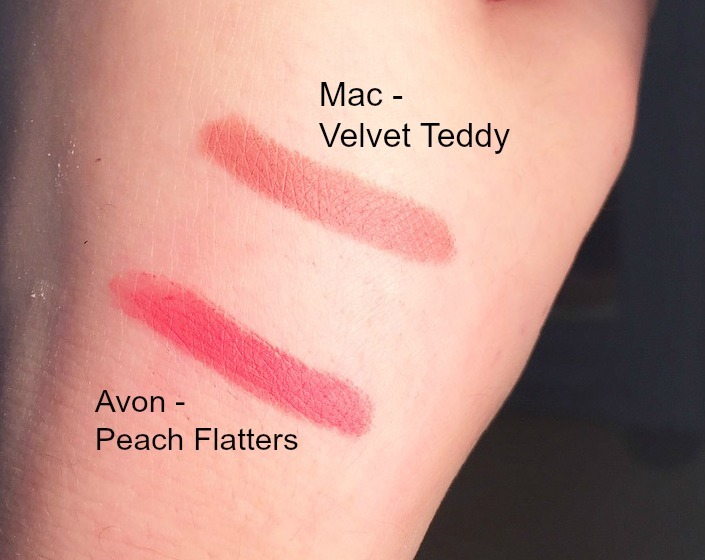 I find Velvet Teddy by Mac a little too drying for my liking, so I 100% prefer the Avon matte alternative which like Red Supreme, is silky and smooth when applying. 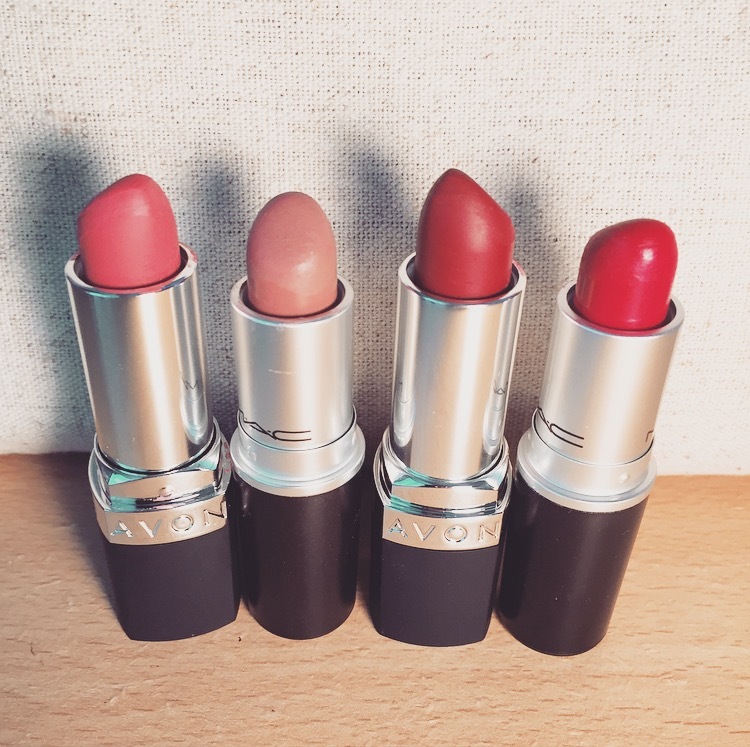 I find Mac lipsticks sometimes fairly rough on the lips during application, so in terms of formula, I again, prefer the Avon "more matte than Mac" lipstick! The Avon lipsticks are a fantastic, affordable comparison to Mac lipsticks and I would recommend them to everyone looking for a more budget product which is equally high in quality!